If you need a car last minute, whether it’s to go to dinner with friends or escape for the weekend, DriveNow car sharing is the perfect app to have on hand. Hackney’s flexible car club DriveNow gives you 24/7 access to BMW and MINI vehicles all at the touch of a button. 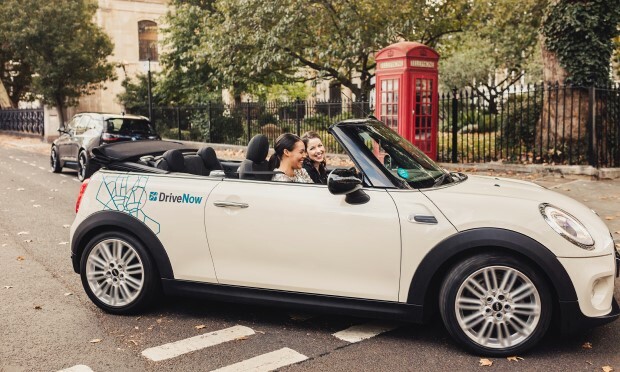 DriveNow has recently expanded into more of London, so as well as the service being available in Hackney, you can also pick up and drop off cars in Westminster, Tower Hamlets, Southwark, Barnet, Brent, Islington, Haringey and Waltham Forest. There’s no need to pre-book a car weeks or even days in advance, simply find a car in the app 15 minutes (free reservation) before you need to leave. Members can choose to drive by the minute, hour or day with fuel and insurance included in the rental price. There’s no need for keys – simply unlock the car with the app, push the start/stop button and off you go. Unlike traditional car clubs, once you’ve completed your trip you don’t need to return the car to where you found it. Just park it for free in any residents’ or pay and display bay within the DriveNow Zone (the 9 boroughs mentioned above). If you need to park the car temporarily during your trip, just select ‘Park & Keep’ in the app and the car will be locked and you can return to it to continue your journey. 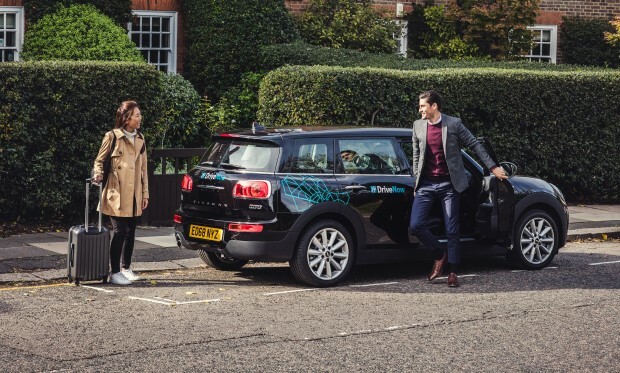 There are six models to choose from with DriveNow – the electric BMW i3, and the BMW 1 Series, MINI Clubman, MINI 3 & 5 door, and MINI Convertible. All cars are automatic. More car owners than ever are now faced with the question ‘Why do I need to own a private car?’ This is no different for London where DriveNow has already reached over 100 members per vehicle. This has an important impact on the number of cars on our streets, with lower car ownership opening up space for other users. In London, for every DriveNow vehicle, 13 privately owned cars are taken off the road and 6% more of our members walked 20 minutes once per week in 2016. You can easily integrate your DriveNow journey with other forms of transport – walk, bike, train or bus before or after your trip. Car sharing operators in the UK are also leading the switch to low emission vehicles. DriveNow is focusing on increasing awareness to and familiarity with electric vehicles (EVs), with 20% of the total DriveNow fleet being fully electric. In London, the average CO2 emissions of the DriveNow fleet is 36% lower than that of the UK average. 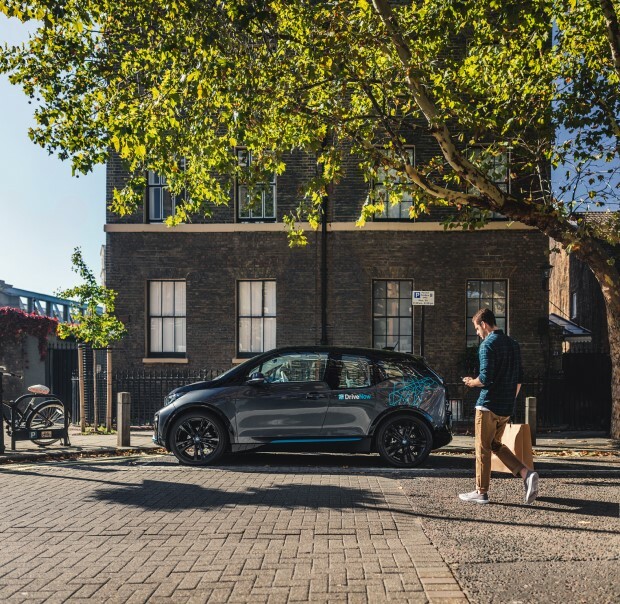 There are 50 all- electric BMW i3 vehicles available in the London fleet. Charging is included in the cost and when needed, it’s easy to charge the car in a Source London charging bay. If you need a car for a quick trip, perhaps to meet friends or pick up an item, driving by the minute is the best option. Everything’s included in the price so you don’t need to worry about anything. If you need the car for longer, choose an hourly package to suit your trip. There are 2, 3, 4, 6 and 12 hour packages available and all include fuel and insurance. For weekend escapes or a mid-week break, you can take a car for up to 4 days without having to pre-book the car in advance! Join DriveNow for free and get £20 credit to try them out. There are no ongoing monthly or annual costs – you only pay when you drive. Enjoy driving a BMW or MINI without the hassle of ownership.